Arby’s menu features roasted beef sandwiches. In addition to its signature roast beef, the Arby’s menu contains a variety of high-quality proteins including turkey, chicken, steak, bacon, ham, and corned beef that are crafted into deli-inspired sandwiches. Arby’s Restaurants also offer a number of sides such as curly fries, shakes, turnovers, and other add-ons. Arby’s Restaurants also may offer breakfast items as an option from its approved menu. Full-menu, limited service Arby’s Restaurants, which are either freestanding, convenience stores, travel plazas, truck stops, travel plaza/convenience store combos, end cap and inline locations, and malls. Limited menu, limited size and reduced service restaurants, which generally occupy a smaller retail space, offers no or very limited seating and may cater to a captive audience, may have a limited menu and may possibly feature reduced services, labor, storage and different hours of operation. Non-Traditional Arby’s Restaurant categories include but are not limited to locations in airports, military bases, hospitals, toll plazas, stadiums, theme/amusement parks and arenas which have no seating or shared seating, casinos, colleges, universities, and other institutional type facilities which have common area seating. 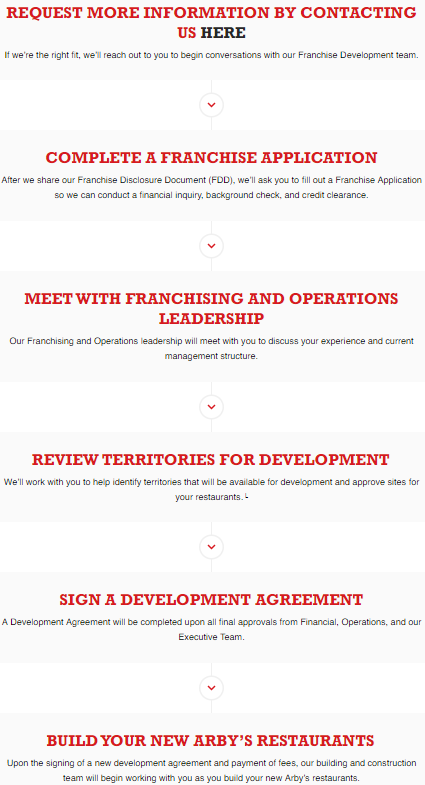 Each Traditional Arby’s Restaurant License Agreement will authorize the franchisee to operate one Arby’s Restaurant at a specified location referred to as the “Licensed Premises.” The franchisor may, in its sole judgment, grant the franchisee a specific and limited protected area surrounding the Restaurant (the “Protected Area”). The franchisor will not operate or license others to operate an Arby’s Restaurant within the Protected Area, if any, during the term of the License Agreement using the licensed Trademarks and offering roast beef sandwiches for sale to consumers. If the Restaurant is a free-standing structure and the franchisor grants a Protected Area, it will typically delineate the Protected Area by a 1-mile radius (excluding malls, college, and university campus locations and other similar institutional type facilities, toll plazas, military bases, hospitals, theme/amusement parks, airports, casinos, special location activity centers such as sports arenas and sovereign nations) from the location or by boundary streets or highways. 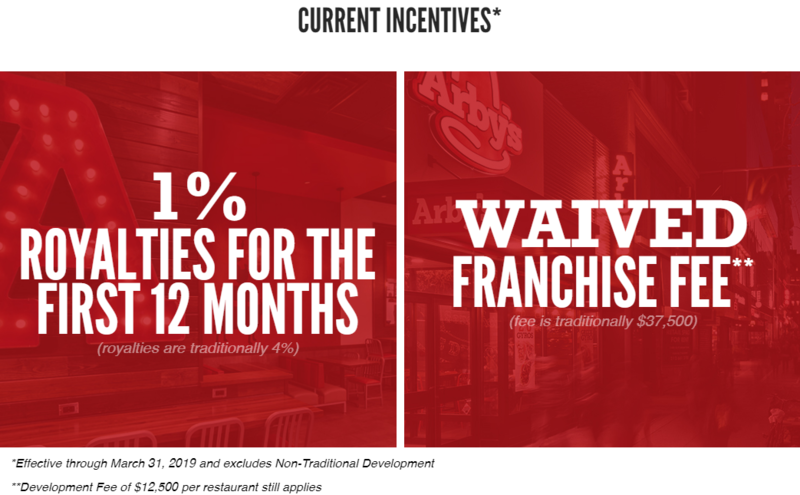 Outside of any Protected Area, if any, franchisees may face competition from other franchisees, from Arby’s Restaurants that the franchisor owns, or from other channels of distribution or competitive brands that it controls. Each Non-Traditional Arby’s Restaurant License Agreement will authorize the franchisee to operate one Arby’s Restaurant at the Licensed Premises. The franchisee will not receive a Protected Area that extends beyond the Licensed Premises for Non-Traditional Restaurants.